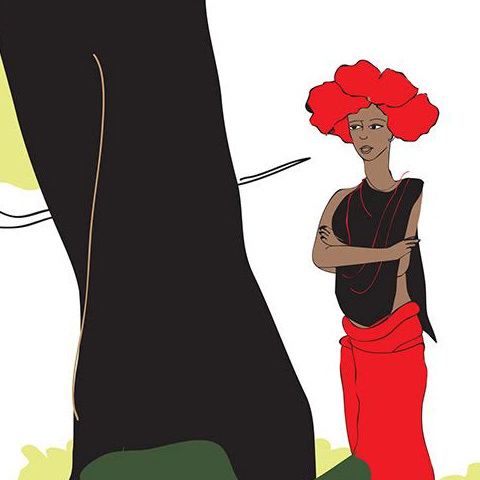 Our music “scene” has given way to what we may safely term as an emergence of underground sounds. We’ve heard enough from seasoned musicians who mock the electronic generation, calling them a generation of techies with no love for music. They accuse them of stripping music of its reality, and claim that what they make is not “true” music; that it is no more than corruption in the face of a puritan belief. Now, we see more and more of these puritans slyly egging their way towards the midi controllers, the software and the hardware that they so despised at one point. Bands who always stuck with the standard band format are now tempted to ask electronic music producers to add “textures, samples, blips and bloops” to their live gigs. Why? Perhaps their reasons are purely ornamental, but underneath it all lies a curiosity, an urge to break the mould, and at some level, the decision to join us, since they can’t seem to drive us away. The truth is, while it seems like child’s play, the game is far more complicated and difficult. Arrangement, sequencing, sampling, and producing are only some of the aspects that need to be mastered. There are a whole lot of little things that go into it, which, if missed, result in an unfinished and far from wholesome sounding track. This is why, while there are plenty of whiz kids picking up top-of-the-line software and hardware every other day, there are only a few who surface as sounds that stand out. What never fails to get noticed is earnestness in effort, sensitivity in style, and sophistication in the employment of sounds. One can be easily spoilt for choice as far as options go within this genre, given how we’ve progressed in terms of the availability of technology, but where one is able to draw the line is a benchmark in determining how far the music will go. Flamboyance only works with the Lady Gagas of the world, who have not much else to write home about. Perhaps their reasons are purely ornamental, but underneath it all lies a curiosity, an urge to break the mould, and at some level, the decision to join us, since they can’t seem to drive us away. The past few years have seen a small but significant growth in the number of live electronica acts in India. Midival Punditz and Jalebee Cartel, while hardly considered “live”, pioneered this movement and deserve due credit. It was only much later that Shaair and Func, Teddy Boy Kill, and my band Tempo Tantrick came about and got acknowledged as live electronica acts. Shaa’ir and Func set the ball rolling with their unique rocktronica sound, characterised by funky guitar and Monica’s catchy vocal hooks over some hard hitting electro sounds. 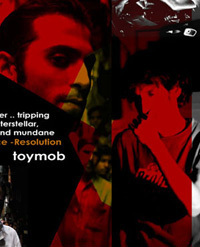 Delhi-based Teddy Boy Kill has also made its presence felt around the circuit. Live synth, adequate guitar fillers and Ashhar Farooqui’s textural vocal style make Teddy Boy Kill’s sound truly international. Tempo Tantrick would be best described as music drawn from inspiration that comes from anything (but not everything). Live synth, samples, and clean live vocals go into making our trip hop sound strictly electronic, with subtle hints of rock and funk. There are a few more electronica acts in the country that surely deserve a mention here, but then again, we ought to save some of that for later. With more listeners getting interested in the genre and more musicians embracing it, the movement has just begun — it’s the awareness that will help it grow. We hope that through this column, we will be able to bring to you the best of electronic music from around the country, drawing particular attention to underground acts which often go by unnoticed — perhaps because they toned down the bling! A riotous, vibrant mix of both music and fashion, Priyanka Blah is amongst the pioneers in the electronic music scene in India, as well as proprietor of her own fashion label. She spends her days co-producing music and as the vocalist for her band Tempo Tantrick, consulting and designing for her apparel brand Maal, and invariably squeezing travel into her plans. Electronic is undoubtedly music of the future. I applaud the efforts and work of new age musicians in India who consider the synth as an instrument to create mood altering and state transforming music. hmm. would have loved to hear some tunes while reading… next time? 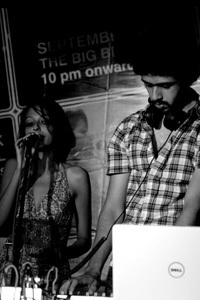 Priyanka Blah is amongst the pioneers in the electronic music scene in India ??? bravo !! what an end ..
be happy, you got mentioned.